bpd diff Stone Ladies Earrings, Size: 3"
महिलाओं के लिए बीपीडी स्टोन की बालियां साइज़: 3 "
We present a quality range of Party Wear Stone Bangles. 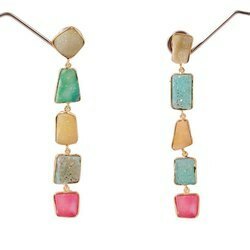 These are embedded with high quality stones that help in enhancing its charm and elegancy. Our range of product is available in various attractive designs, patterns and sizes as per the needs and requirements of our respected clients. 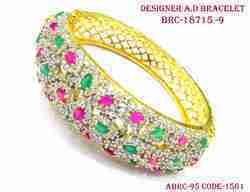 We offer these stone bangles at competitive prices in the market. We are deal in this Bridal Stone Work Jewellery. We manufacture premium quality of Round Pendants, which are available in multitude of designs, styles and patterns. Studded with precious and semi-precious stones, this product is available at reasonable prices. We offer an array of pendants in round, oval, heart, star and other shapes to choose from. This product is provided with a matching necklace to enhance the style quotient.